Find yourself in Chatswood and need to access the Internet? Just stop by this bus stop and download a little. Actually, I have no idea how good the WiFi on this bus stop is, but I thought it was an interesting idea. Has anyone used this? Is it any good? Or does it crawl? And do you want Coke to log all the sites you visit? I suppose it like McDonalds offering free Wifi. Only what do Coke get out of it? 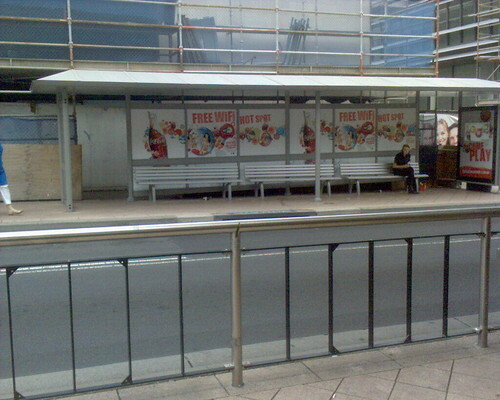 This entry was posted in Photos, Tech and tagged bus stop, Chatswood, photo, WiFi. Bookmark the permalink.